As a parent, It often seems incredible how quickly children grow. One day you are changing diapers and before you know it, they are headed off to University. However, the thing that will always remind you, of the pace of change is seeing how fast they grow out of clothing and having to pay for it all. We all love the fun of choosing new adorable outfits for our kids, but with kids clothing costing nearly the same as adult clothing, it gets expensive. Here are some tips to have stylishly dressed kids while still saving some cash. Make use of Groupons discount codes. Great clothing, from top retailers, such as the Gap, can be had at huge discounts. When shopping online, look for sales on the Groupon website, to stretch your budget further. Sell items online and use the money to buy new clothing. Make use of websites where you can sell used items for cash, such as Ebay. Be sure that items you buy fit correctly in the first place. Numbered or age-ranked sizes often do not correctly match the actual size of your child. Get a cloth tape measure and record your childs measurements in a book or on a chart. Keep track, on a regular basis on the length of their arms, legs, waist and shoe size. If you cant try an outfit on your child before buying it, be sure to check the measurements of the clothing against your chart. Buy items that look good together. Limit items with lots of patterns, like plaids, bold stripes or floral patterns. Group like items together by color scheme in closets or drawers, such as denims and shades of blue or green together, earth tones, or warm colors such as yellow, orange and red. Mix and match clothing choices from those groups, to make a wider variety of unique outfits. Join a clothing exchange. 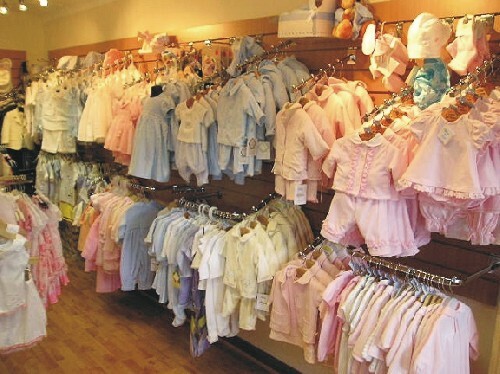 Many organizations exist to exchange your childs gently used clothing for new items in a larger size. You can find many such places online or you could start your own local club, with family and other area parents. Use these tips and your budget will stretch quite a bit further. The money that you save can be used for fun activities with your child. For in the long run, the time spent together will be remember far more than the money spent. Every moment is precious.